Salsa is a staple in my house. 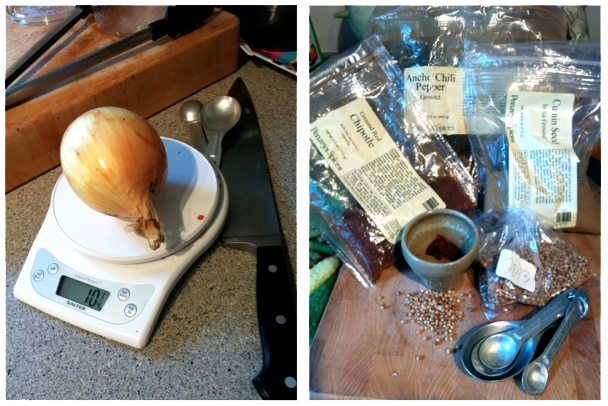 I use it in burritos, rice, as a base for chili, chicken and pork dishes and over eggs. It’s just a great condiment to have on hand, particularly the homemade variety. And it’s a life-saver in the middle of winter. 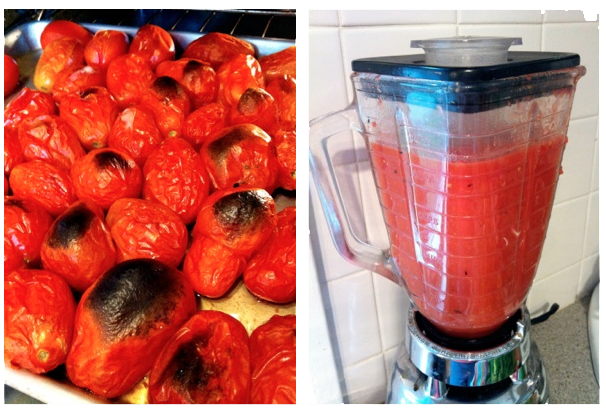 I like Mexican-style salsas with dried red chilies and tomatoes blended smooth. Chopped onion and mild green peppers add texture, while hot red and green peppers round out the flavor. Everything gets charred in the broiler or on the grill. 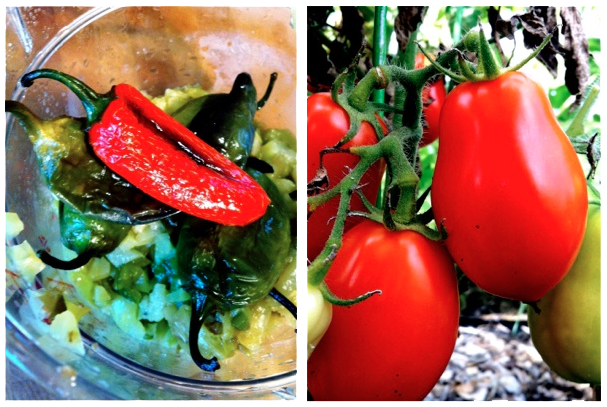 Canning good quality salsa is easy, but you have to use the right kind of tomatoes. Otherwise you get a watery, thin version that is sorely disappointing in the middle of February. And because of our friendly neighborhood pathogen named botulism, salsa needs to be properly acidified. (If this is all old hat to you experienced canners, just skip to the recipe.) 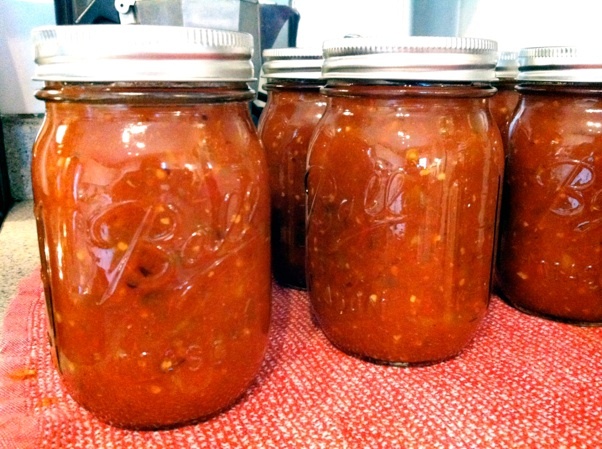 Although salsa has acid from tomatoes, the other ingredients like onions, garlic and peppers are low in acid, presenting a perfect medium for botulism to multiply. 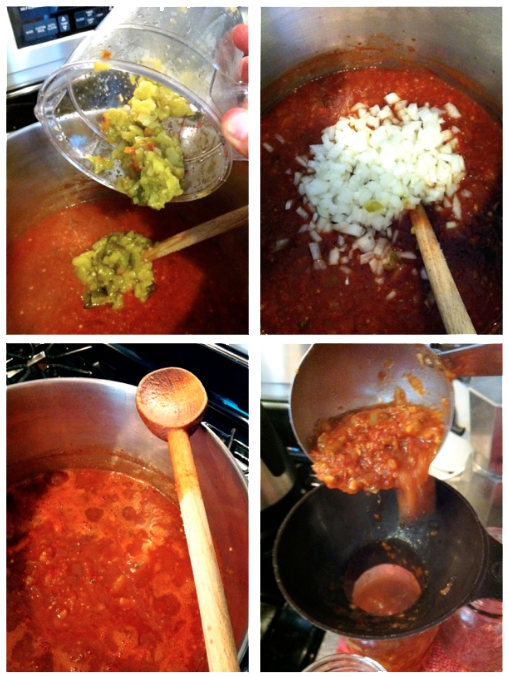 The recipe below is based on the USDA’s approved salsa recipe. The only items I’ve altered are the dried spices, which you’re allowed to increase or decrease to taste. Unless you are an experience preserver and are using a pressure cooker, do not change the ratios listed!